Everyone loves vampires, right? How else can one explain the recent sudden burst in bloodsucking books, movies, and television shows? Clearly, American society has been conditioned to fear these undead killers, and therefore is predisposed to an unbridled vampire fascination. Right? Wrong. The reason shows like True Blood have garnered such cult followings is that they are written around unexpected ideas and events that break the viewers’ guessing machines. By doing so, the viewers’ interest is not only gained, but sustained as well, causing the show to be extra sticky and addictive. According to Chip and Dan Heath, our brains are programmed to expect a logical progression of ideas. When this logical progression is broken by something unexpected, our brains are triggered to pay attention. In other words, surprise is triggered when our schemas fail (Heath 67). 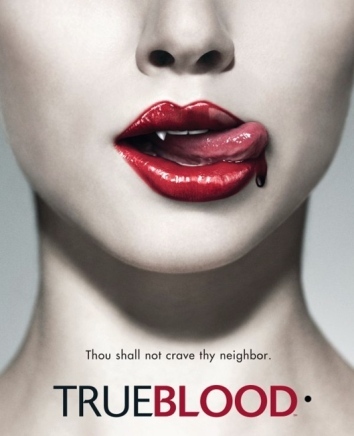 True Blood first gained attention by breaking the traditional vampire schema. Rather than a world where vampires terrorize unsuspecting humans, True Blood created a world where vampires and humans co-exist peacefully (for the most part). That the vampires were notably different than any other vampire in the mainstream media was a nice, unexpected surprise. However, just getting attention is not enough. After the initial surprise there must be interest in order to sustain attention. Mysteries are a fantastic way to move the audience from general surprise to undivided attention, because mysteries require closure (81). According to George Loewenstein, curiosity happens when we sense a gap in our knowledge. These gaps cause pain, and we require answers to fill the gaps and appease the pain (84). In order to ensure that viewers keep coming back for more True Blood week after week, every episode leaves a main character in some sort of unexpected peril or dramatic circumstance. Otherwise known as cliffhangers, the suspenseful final moments of every episode leave the viewer with seven days to ponder the possible outcome. That’s seven days without closure, and the pain caused by the gap in knowledge grows each day. So can True Blood attribute its overwhelming success to all those same vampire fanatics who were waiting in line for tickets to see Twilight days in advance? Maybe. But more likely, True Blood succeeds because its writers understand what it takes to get, and keep, a captive audience.